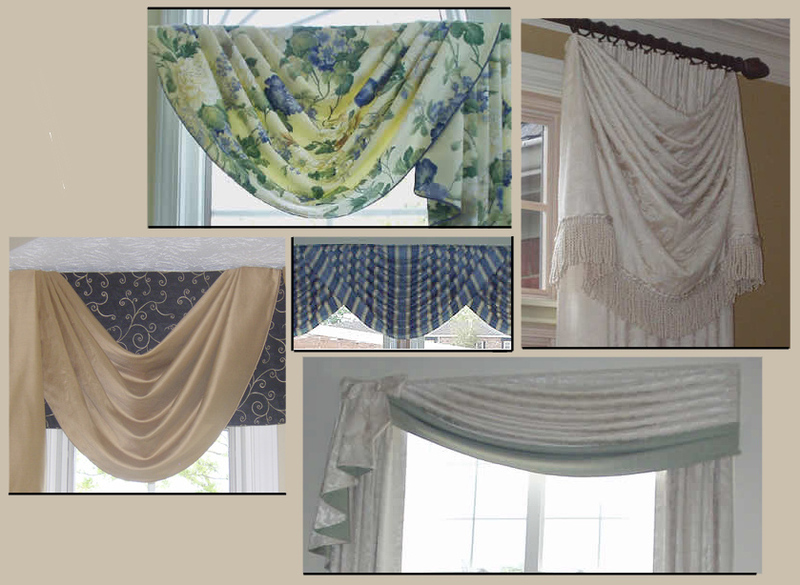 We are a custom drapery fabrication workroom with extensive experience in sewing window treatments, bedding, cushions and soft goods for your home. We also offer upholstered cornices and headboards. Sew Easy Windows is very well known for attention to detail and quality workmanship. We specialize in challenging and detailed window treatments. Our goal is to ensure that the finished work is exactly as you envisioned and that the installation is efficient and trouble-free. Location is not a problem. We will ship anywhere in the continental United States. Contact us for a bid. Enjoy perusing our extensive portfolio of work. I love to travel around the country to speak to workroom/designer organizations . (read the testimonials). I'd be thrilled to meet you and/or your local organization. Bookmark this Calendar of Events and become a fan of Sew Easy Windows on Facebook or link with me on Linkedin to stay apprised of upcoming speaking events and classes. Event Speaker: I am available to teach 1.5 hour and 3 hour seminars on workroom related topics. Topics can be combined to create a full day seminar. If you are a part of a networking group or have multiple employees who wish to improve their skills, we can put together a program to suit your needs. Click here for more information on available topics and for contact information. Private Training & Consultations: Are you looking for help with specific workroom fabrication questions, layout and origanizational tips for your workroom, pattern drafting techniques, or other workroom specific skills you need? We can put together a very focused agenda that serves your specific needs. Depending on the topic and availability, you can visit my workroom in Avon Lake, Ohio or I can come to your workroom to work with you. Contact me with your education or coaching needs and we can work out a plan. Travel classes! Choose from any one of the following two-day hands-on travels classes. These can be scheduled in your own home town with a minimum of six students. These classes are also offered in my own workroom in Avon Lake, Ohio. All of these classes are also available for private training one-on-one. 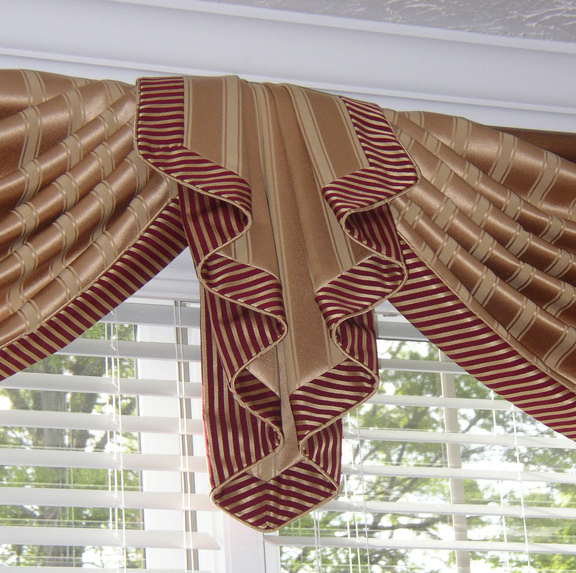 Click here for details on these drapery workroom fabrication classes. Contact me to learn how to book one or more of these classes today. I am a rep for DreamDraper design software - the first software developed for digital sketching of window treatments. Learn more about this awesome design software that allows you to do the space planning, design an entire room with specific paints, wallpaper, furniture, accessories and design a window treatment directly on a picture of the client's window, fabric and all. With all of these opportunities, I look forward to meeting you soon. Swags come in all sizes and shapes. You can draw your own swag patterns very quickly and precisely. 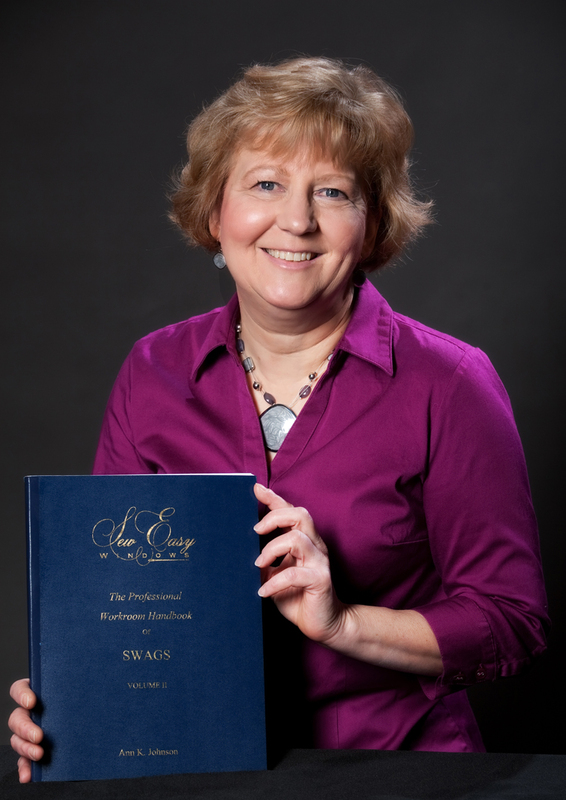 These popular reference books by Ann K. Johnson have revolutionized the workroom industry by reducing the learning curve associated with swags and by teaching workrooms to draft simple patterns for swags of any size. They explain the engineering of the swag pattern in clear, concise terms with many illustrations and pictures. Square it Up! The latest innovation in workroom tools. Designed to draft point-to-point swag patterns in a matter of minutes, it has many other uses in the workroom too. Are you unsure how to price for your work? Do you want to earn a fair price for your skills? Kitty Stein uses her gentle wisdom and industry knowledge to walk you through the process of assessing your financial goals and your business costs to help you develop your own price list for the custom services you provide. Using proven financial methodology and her own style of folksy writing, Kitty helps you discover your own financial worth. 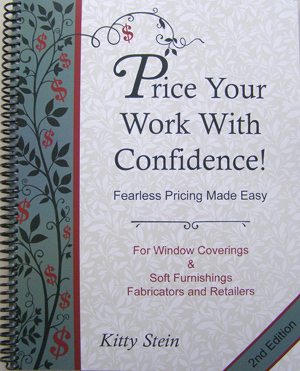 While written for the soft goods industry, "Price Your Work With Confidence" has been used successfully by many small businesses. Researching The Professional Workroom Handbook series is an ongoing process. If you have purchased any of these books, check here for updates and revisions. Discussions of basic, timeless techniques to assure a quality finish and to aid in developing a truly custom look. Problem solving techniques for unusual challenges. Business articles to encourage a professional business mind-set. I'd love to hear from you - your comments on the articles and suggestions for articles you would like to see in the future.